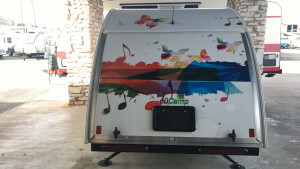 We got a little creative here at Princess Craft RV and decided to get one of our nüCamp T@G Teardrop Trailers wrapped with a bright music themed graphic! 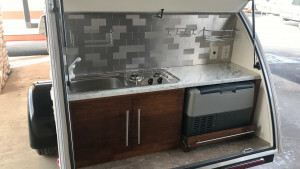 Going a little further, we added a new metallic backsplash to the outdoor kitchen. Wanna see how it turned out?!!! 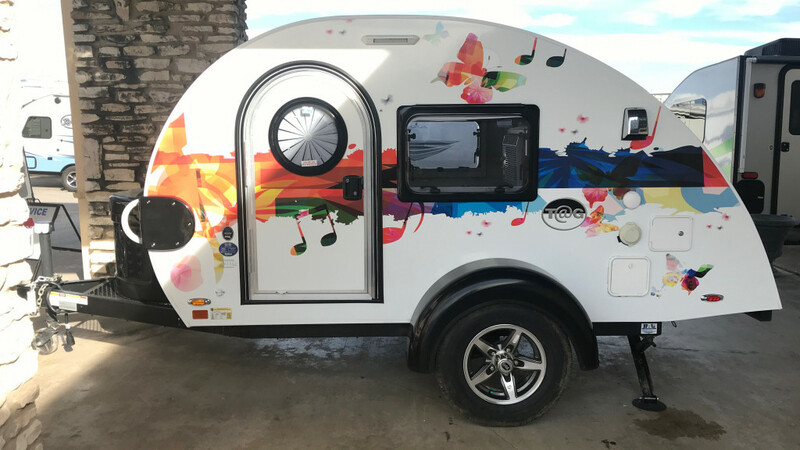 We had so much fun putting the Troubadour T@G teardrop trailer together that we have plans to roll out a couple more custom, one-of-a kind T@G teardrop trailers in the coming days. You’ll need to stay tuned to see what we come up with!